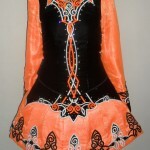 Bodice is black velvet with white and orange embroidery. 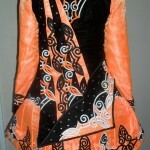 The skirt and sleeves are orange satin overlaid with orange organza with white and black embroidery. 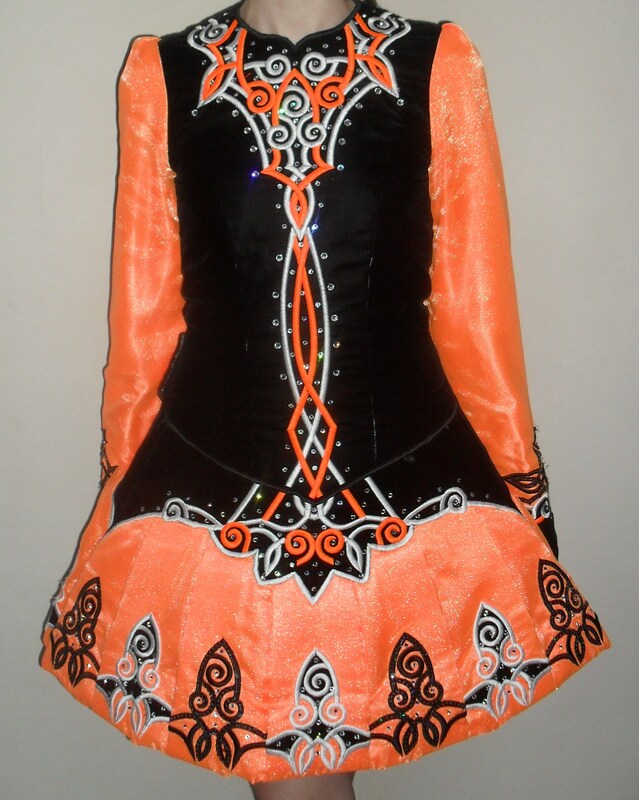 The dress has been adorned with 100s of Swarovski crystals, all intact. 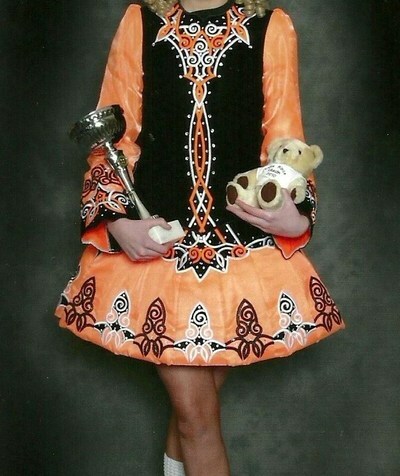 There are some marks under the skirt from tan and kicking up. 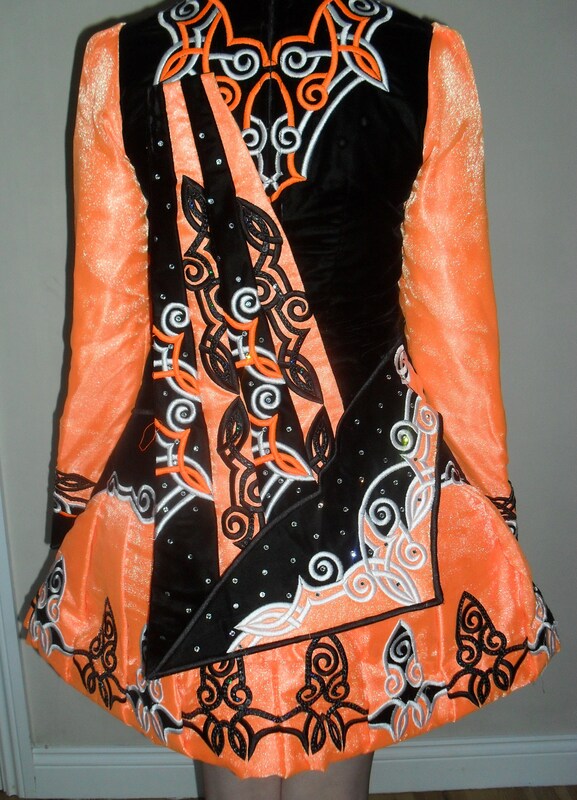 A custom made hairband and pants come with the dress.